What if there was a way fro you to not only help your current clients make money quickly in the current economy but also for you to profit from it without any work on your part? You see ALL your clients have under-utilized resources that can be leveraged. ftese resources could include employees, inventory, office space, advertising space, expertise, money, distribution, databases, customers… the list goes on and on. As a joint venture broker you need to understand your client’s business (which you do) and the business owner’s real needs (which you already know). And of course, you just take a cut of the resulting business—EASY! Most clients have a problem with sales and marketing. The good news is that joint ventures, set up properly, will solve their problem. Once you learn how to do joint venture deals you can give them exactly what they want without risking any of your own time, money or resources. Let’s say you have a client named Bob who is a personal trainer and, as his business relies on new customers, he is struggling to make ends meet. You decide to help Bob to do something about his lack of clients using your deal making skills. You contact another one of your clients named Bill, who owns a supplement store, and ask Bill if he could refer his customers to Bob and Bob will do likewise with his clients. Often, all you have to do is help them with their marketing strategy to increase the response/sales and take a cut of the resulting sales as a joint venture broker fee, while they do ALL the work. Once you have done one project, for how many of your clients can you actually broker deals, taking a cut of the results? 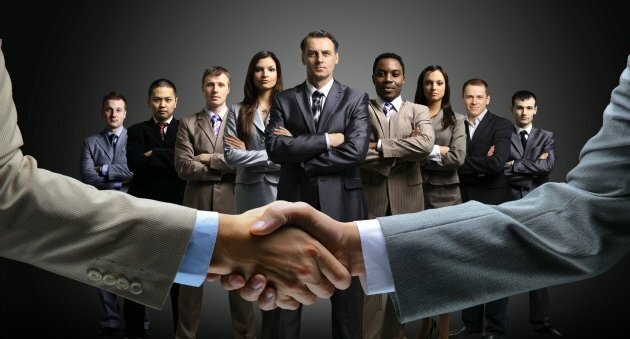 So you see, whether you are a VA, coach, marketing consultant, insurance salesman, commercial real estate broker, business-to-business broker, etc you can make much MORE money setting up joint venture deals between your existing clients! Of course, there is a lot more to joint ventures than what I’ve shared here. You have to protect yourself with proper agreements, making sure you follow a ‘proven’ system so that everyone in every deal clearly understands what is expected so there is no confusion down the road. Great article! I have a question: So let’s say,, using the example you gave about the personal trainer business owner and supplements store owner, i talk to them to sort of “sell” their company to me and agree. Here’s what i mean, I create a new LLC holdings company and acquire these 2 companies under the new company structure and have these 2 business owners sit with me as Directors of the Board where the companies operate independently of each other but can now jointly leverage each other’s assets/clients. They still run their companies as they did but under a new different structure(I think Warren Buffet does this a lot and very well). Is that also a joint venture?